ASUS today unveiled the ZenBook 3, a Windows-powered ultra-portable laptop that's ever-so-slightly thinner and lighter than Apple's MacBook while packing a bit more grunt under the hood. The ZenBook 3 is 11.9mm at its thickest point, and weighs 910g, while the MacBook is 13.1mm at its thickest point, and weighs 920g. The tiny difference in size and weight is unlikely to sway many to the ASUS camp, but beefier internals might. While Apple's MacBook relies on Intel's family of low-power, high-efficiency Core m processors, the high-end ZenBook 3 is kitted out with a Core i7 processor. ASUS says this makes it twice as fast as the MacBook, but didn't specify which model it is comparing to. The use of a Core i7 processor also means the ZenBook 3 requires a fan (while the MacBook is fanless). ASUS’ ZenBook 3 might have faster internals than the MacBook,butthe comparisons aren't over yet: both devices have a single USB Type-C input for connectivity and charging, and a 3.5mm headphone jack. 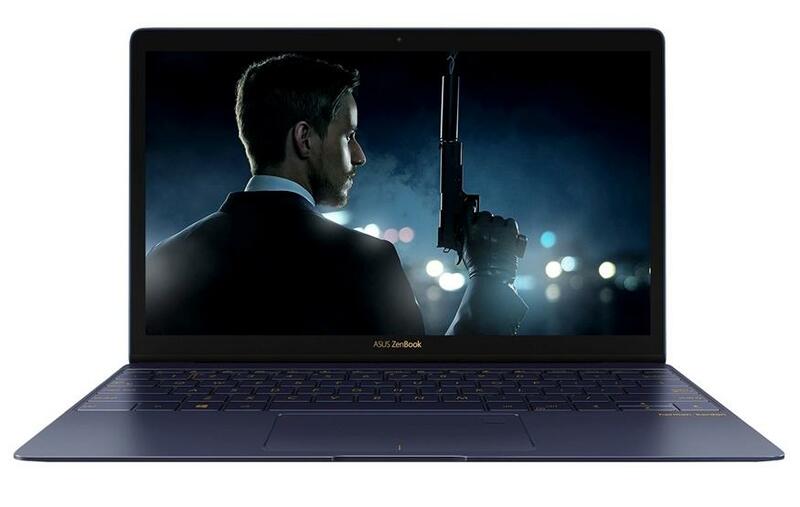 The ZenBook 3 will be available in configurations starting at USD$999, with a Core i5 processor, 4GB of RAM, and 256GB of solid state storage. The Core i7 configuration will set customers back USD$1999, but takes RAM to 16GB and storage to 1TB. ASUS has yet to confirm when the ZenBook 3 will go on sale.